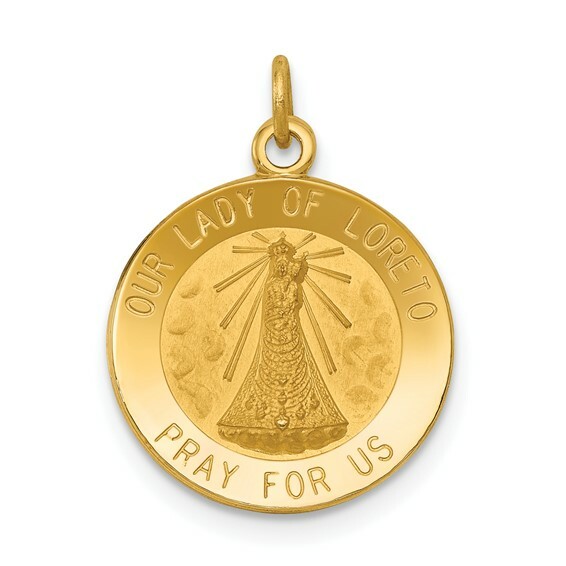 This round Lady of Loretto medal charm is made of polished 14k yellow gold. Item measures 9/16 inch round without loop and bail. Weight: 1.2 grams.